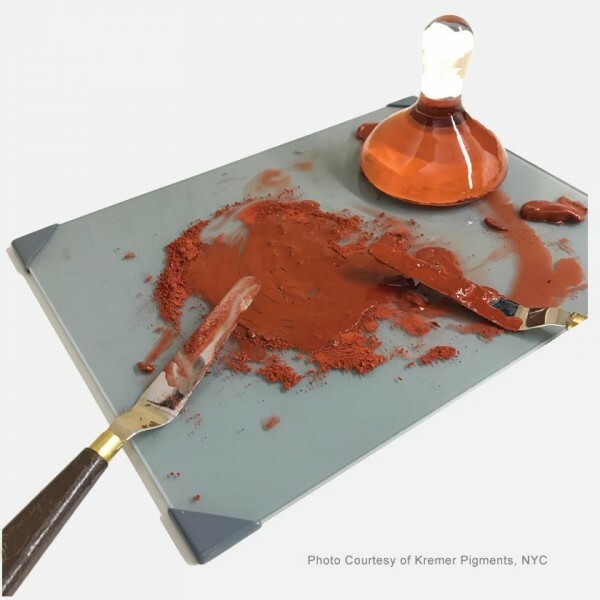 For use with all paint media as an artist palette, mulling surface, mono printing surface, and craft surface. This product uses 1/8" tempered glass for maximum strength and safety, along with custom corner guards for added protection and surface traction. The edges are seamed, and the underside is finished with a dense solvent, and water resistant formulation that has excellent color fastness. The palette is super easy to clean. Dried acrylic paint peels away, and dried oil paint can be removed with artist solvents or a single edge razor blade in a retractable scraper. Customer evaluation for "Posh® Glass Palette white, 30 x 40 cm"